Kathe Grinstead’s “NZ 4/13/09” (detail shown here) is part of the exhibition “In the Clouds,” opening on May 12th at 2 p.m. and running through June 21st in the Duke Gallery and side lawn at Community Arts Center, 414 Plush Mill Road, Wallingford, PA.
I’ve always found clouds to be so cool. When I was a kid, I’d play that game where you looked at the clouds and tried to imagine what object they looked like. As an adult, I still love to look at clouds. 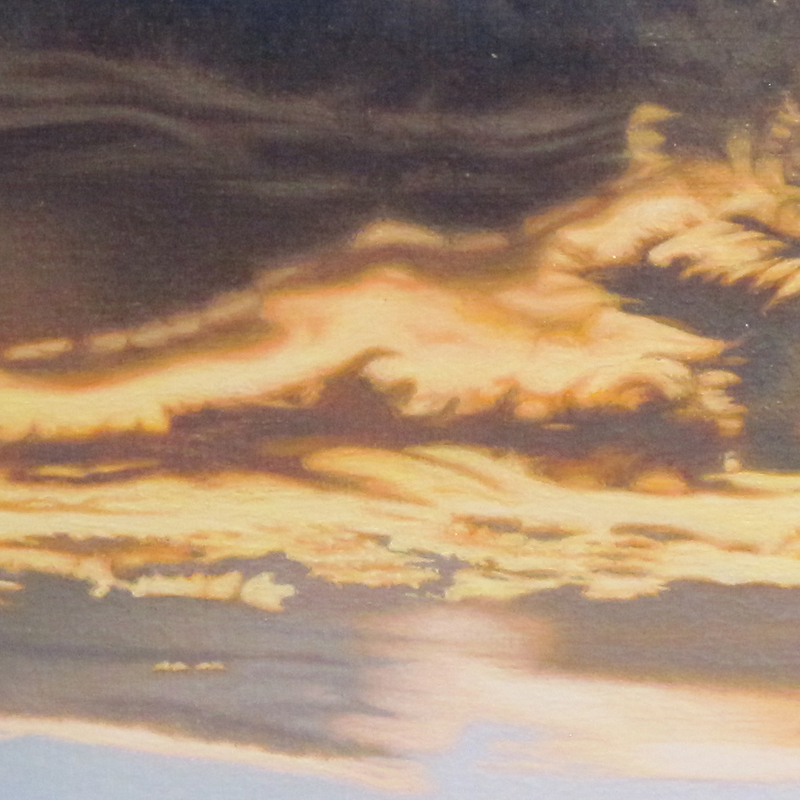 One particularly memorable experience involving clouds occurred in Hawaii. We were headed to the Haleakalā volcano and we were driving through all of the clouds. I had to stick my hand out the window to feel them. Be a part of them. They were simply stunning. Also stunning is the new exhibition, “In the Clouds,” opening at Community Arts Center in Wallingford, PA on May 12th from 2 – 4 p.m. I had the opportunity to get a sneak peek of the exhibit and the images are so wonderful. A collection of fine art photography and painting featuring cloud imagery and landscapes that include clouds, it’s beautifully soothing yet powerful too. Some of the images make you just want to jump right into them and become part of the scene. A great feature of this particular exhibit is that it spills out from the gallery and onto the lawn with a collection of kinetic and environmental outdoor sculpture created using various kinds of materials like recycled and repurposed steel, creating art under the clouds as well. “In the Clouds” runs through June 21st.